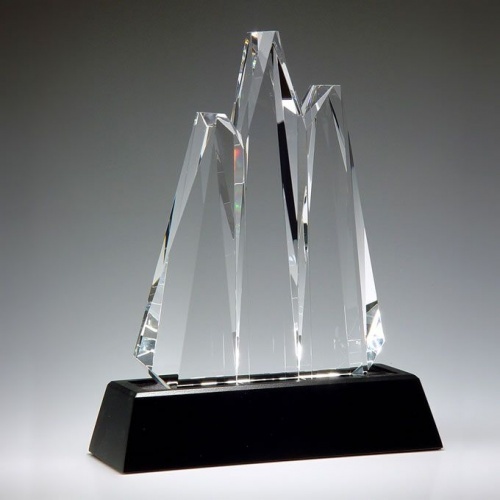 The perfect award to recognise the highest levels of effort and performance, these Reach for the Summit awards are fit to grace the very finest of awards presentations. This unique artwork is part of Prism Crystal's Elite Collection and is crafted in premium optical crystal. It features three peaks with multifaceted planes, crafted in clear glass, set on a bevelled black glass base. These imposing awards stand 10in tall and weight 10lbs. Each award is supplied with a deluxe presentation box.